Chinese super star Jackie Chan, singer, dancer, and all around movie star, has endorsed loads of products in his lifetime, and will probably endorse many more to come. Recently in China, Chinese netizens have been going over some of Chan’s earlier product endorsements, including one that should’ve been banned. While the game console ban has been “lifted”, nothing much has come of it, so Chinese netizens have been reminiscing about the gaming products of their childhood, with one product in particular standing out—the “learning machines”. Before and during the console ban in China, Chinese companies were able to sell systems that played games to Chinese consumers under the guise of study aids and study materials. One such system was called the “小霸王," or “Little Tyrant”. And who better to teach about the awesome virtues of this wonder of education than the Hong Kong super cop, Jackie Chan. Chan’s involvement with the Tyrant is probably nothing more than an endorsement deal. Chan endorses a lot of things. He also says many… interesting things. But let’s forget Chan for a moment and look at the Tyrant. The name Tyrant isn’t actually a designation for a system in particular; instead it is very much like non-gamers calling every game console a Nintendo or a PlayStation. Little Tyrant is the company’s name. The company’s English name is Subor. Based in Zhongshan, Guangdong Province, Subor has, over the years, created a variety of game machines, most of which are marketed as “learning machines” or study aids. The most famous has been the SB series. It was basically a console built into a keyboard that took in game cartridges. The keyboard also supported NES/SNES styled controllers. The system was effectively a Nintendo or Super Nintendo Clone depending on the model number. The games that the Subor played were often variations of Japanese games translated to Chinese, or sometimes even really weird homegrown Chinese versions. 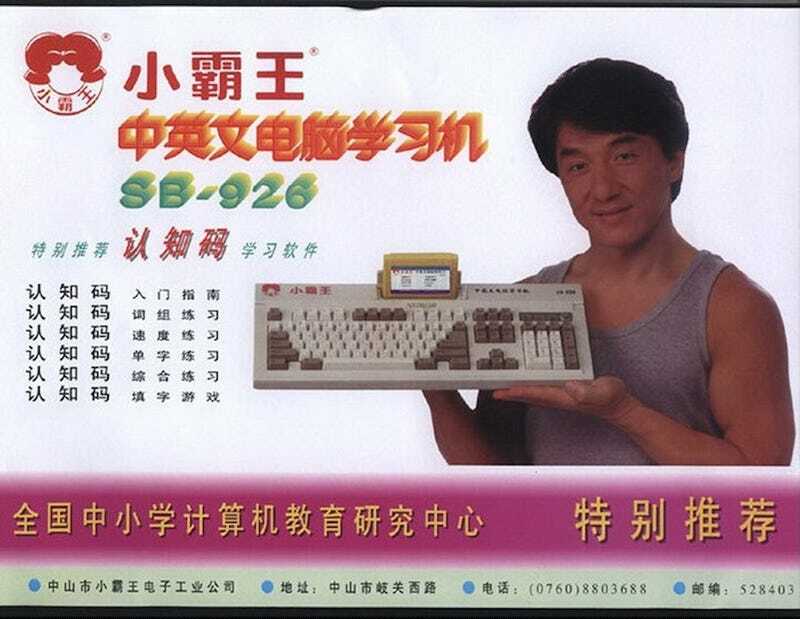 With the success of the keyboard systems, Subor would eventually create the Chinese equivalent of the Famicom. This system was also sold in China before and after the console ban. Nowadays it’s harder and harder to come across a keyboard Subor, the direct Famicom clones are used in “hipster” bars and café’s as entertainment. Online, Subor is still in business making Android based handhelds that look like PlayStation Portables.